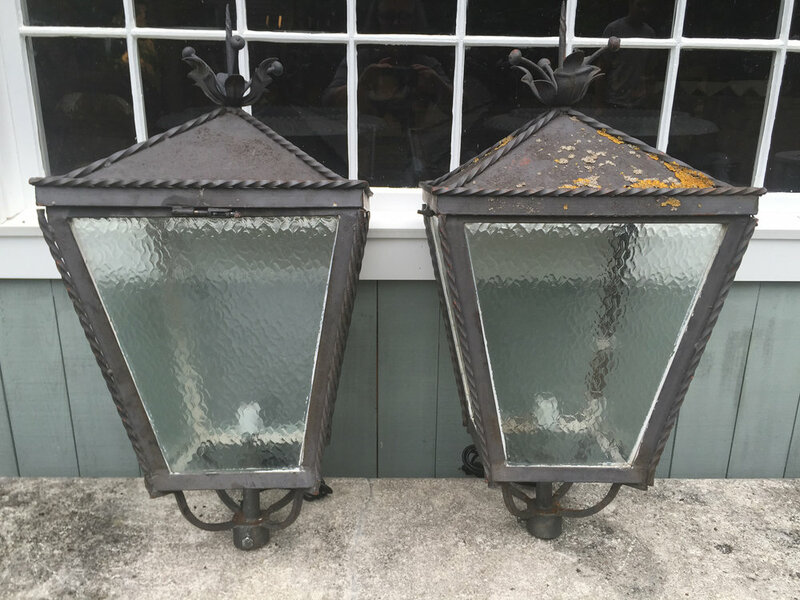 This is truly a special pair of lanterns! 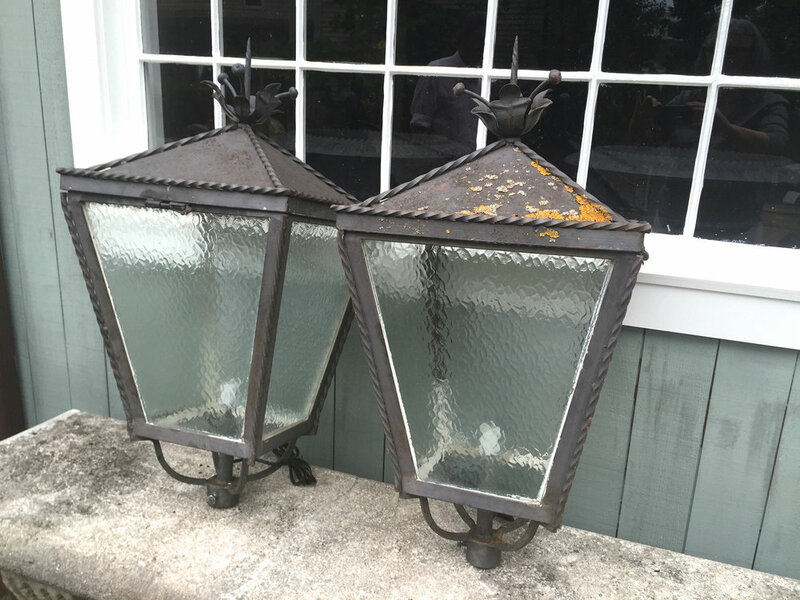 Dating to around 1900, they were purchased from a Castello in Lucca, Italy and feature marvelous top finial sprays of leaves and berries, along with rope decoration to all edges. 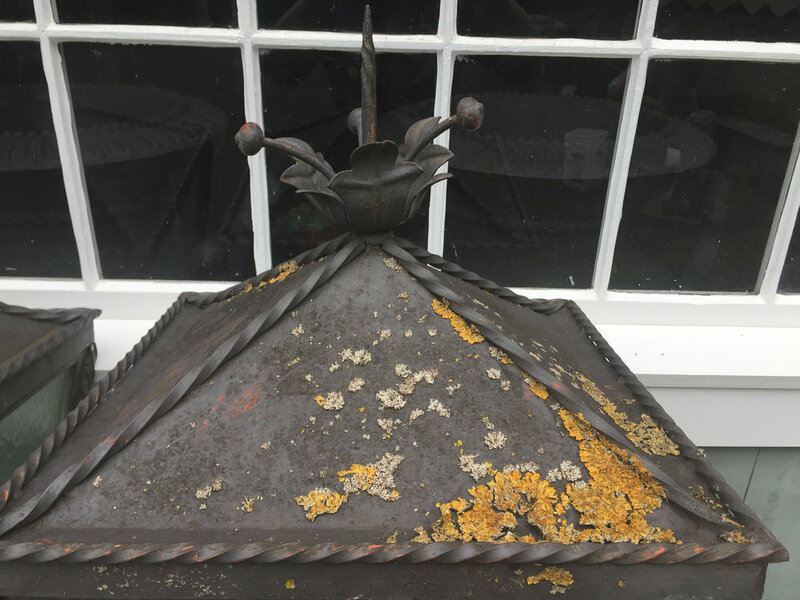 In as-found and old dark grey painted surface with loads of lichen on one, they have been rewired for the US and will make a fabulous statement atop a pair of stone or brick gate piers at the entrance to your estate. 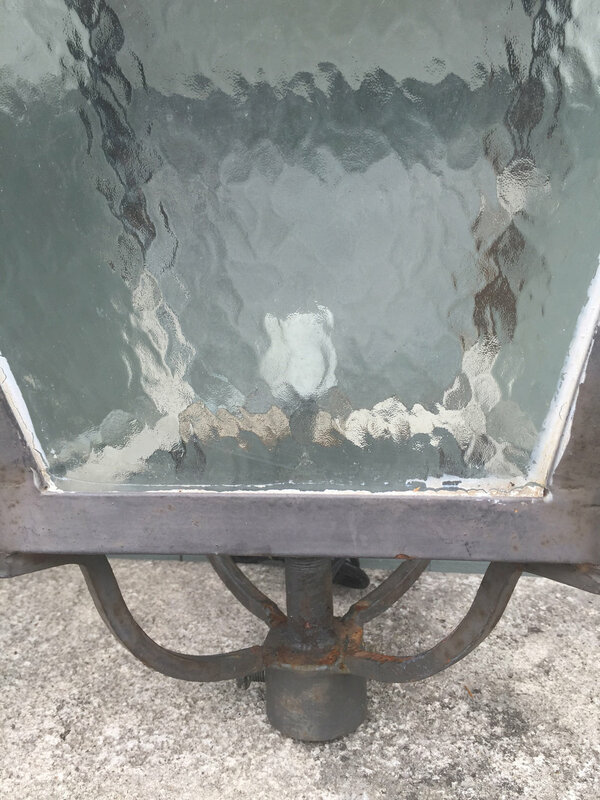 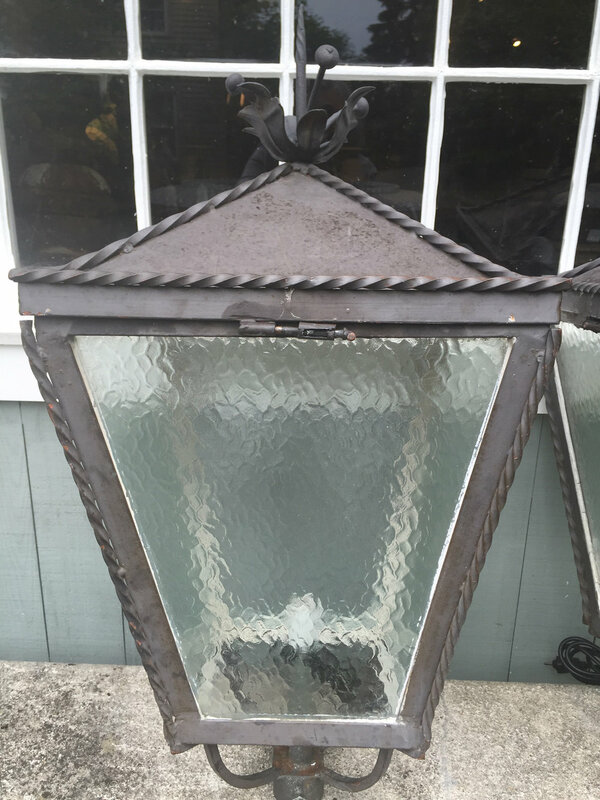 The attractive translucent patterned glass is as-found, but we think not original to the lanterns. 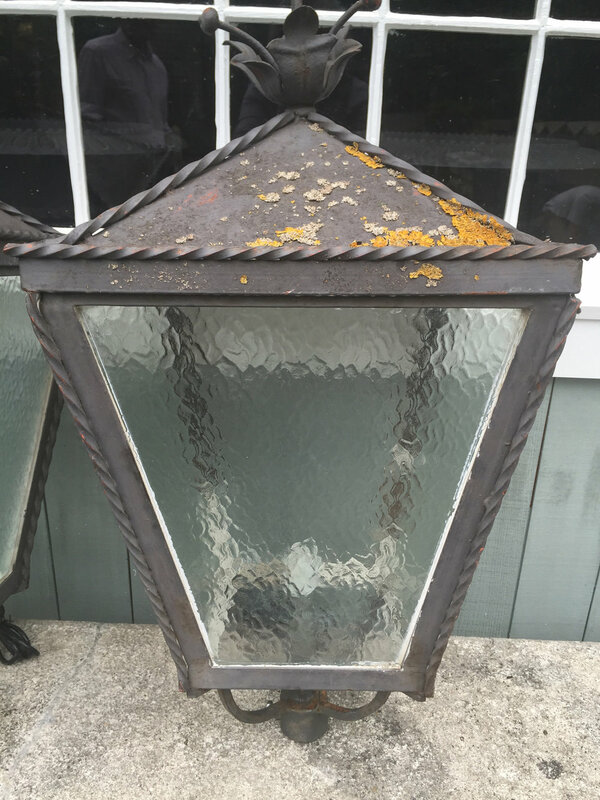 In wonderful condition, made of very heavy steel with no rust, and ready to go!